Kids On Point is committed to serving scholars from middle school through their high school graduation (and beyond)–a commitment that is rare among afterschool programs. Although all Kids On Point scholars receive the same core services of academic tutoring, mentorship, and squash instruction after school, the enrichment activities change as scholars get older. 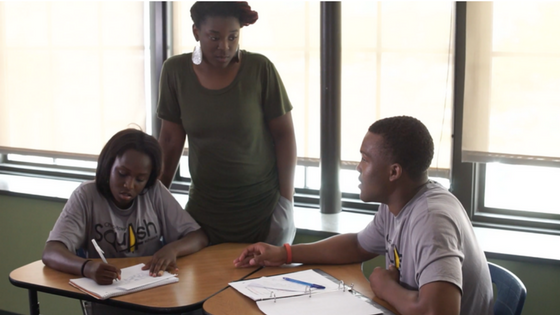 This fall, Kids On Point is introducing Path to Success for all 9th-12th grade scholars. Path to Success is a four-year enrichment track that guides scholars through the process of preparing for college and/or a career. It is a 36-week curriculum that integrates community, school, and family support. The aim is for every student to graduate out of Kids On Point feeling confident in where they are headed after high school. Path to Success starts in 9th grade with weekly sessions that guide students through personal goal-setting and an exploration of postsecondary options. As students advance through high school, Path to Success involves college tours, standardized test prep, and sessions for KOP families on applying for financial aid and scholarships. Junior and Senior year is when Path to Success students start applying everything they’ve learned. 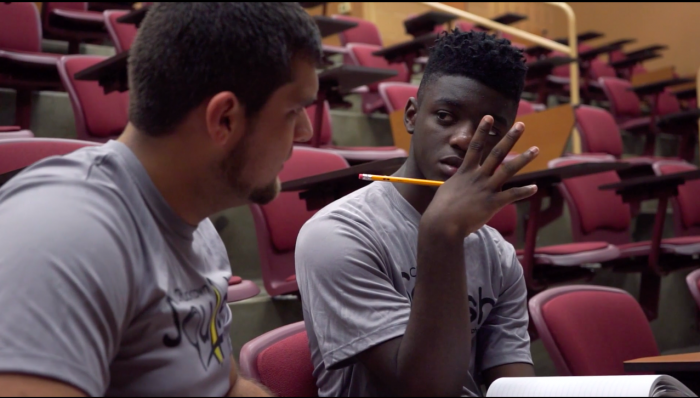 At this point, scholars are paired with a certified college counselor from College Sage, who helps them decide what postsecondary route they want to take and shows them how to apply to schools. Check out the What We Do page on our website to learn more about the ways in which Kids On Point is trying to close the opportunity gap for youth in Charleston.